An estate plan might seem useless to childless and single Nevada residents since they do not have any family members to provide for after their deaths. However, there is still a need to distribute their property if they pass away, and there is also a need for someone to make decisions on their behalves if they become incapacitated. Without estate planning, their families will be left to spend time and money to gain the right to act for them — often without any idea of what their loved ones would have wanted. 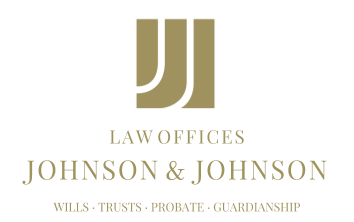 Even if a single Nevada resident has discussed what he or she would want if either of these events occurred, without an estate plan, no one has the legal right to carry out those wishes without first obtaining permission from the court. A will gives an individual the right to choose who will receive which property after death. Without one, the state of Nevada gets to decide. Without a health care power of attorney and advance medical directives, family members will not be able to make any life-and-death decisions. By the time that right is obtained, it could be too late. Furthermore, a durable power of attorney allows a trusted person to handle finances during these times. Otherwise, no bills will get paid and assets will not be controlled. Married couples at least have each other to make some — if not all — of these decisions without court intervention, but a single person does not have the same luxury. Therefore, it is almost more critical to have an estate plan in place. Depending on the circumstances, estate planning can provide a myriad of options to tailor a plan to an individual’s needs and desires.